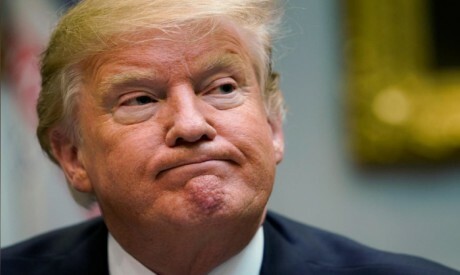 US President Donald Trump said in a late night Tweet on Wednesday that he would delay a State of the Union address until the government shutdown was over, responding to House Speaker Nancy Pelosi’s move to obstruct his plans for the speech. “This is her prerogative - I will do the Address when the Shutdown is over. I am not looking for an alternative venue for the SOTU Address because there is no venue that can compete with the history, tradition and importance of the House Chamber,” the president said in the tweet. The battle over border security and government funding spilled over into a parallel dispute over the president’s State of the Union address. Trump sent a letter to Pelosi on Wednesday saying he looked forward to delivering it as scheduled next Tuesday in the House chamber. Pelosi previously had asked Trump to consider postponing it because security could not be guaranteed during the shutdown. But Pelosi told Trump on Wednesday the House would not consider a measure authorizing his address until the shutdown ends. “Again, I look forward to welcoming you to the House on a mutually agreeable date for this address when government has been opened,” Pelosi said to Trump in a letter. In a sign Trump may be bracing for a long shutdown, a senior administration official said agencies without funding had been asked to give the White House a list of programs that could be hurt “within the coming weeks” if the funding lapse continues. The US Senate, controlled by Trump’s fellow Republicans, planned votes for Thursday on competing proposals that face steep odds to end the shutdown. Senate Majority Leader Mitch McConnell plans a vote on a Democratic proposal that would fund the government for three weeks but does not include the $5.7 billion in partial funding for a wall on the US-Mexico border. McConnell also planned to hold a vote on legislation that would include wall funding and a temporary extension of protections for “Dreamers,” people brought illegally to the United States as children, an offer Trump made on Saturday. Trump’s 2017 plan to rescind protections against deportation for hundreds of thousands of “Dreamers” has been blocked by the courts. Barclays economists said on Wednesday they reduced their outlook on US economic growth in the first quarter to an annualized rate of 2.5 percent from an earlier projection of 3 percent as a result of the shutdown. Furloughed federal workers are struggling to make ends meet during the longest government shutdown in US history. Many have turned to unemployment assistance, food banks and other support, or have sought new jobs.